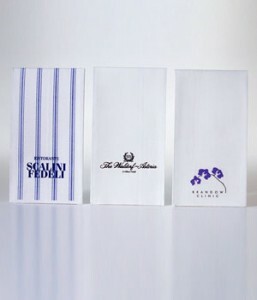 The Company has been in business for over 20 years servicing the Foodservice and Healthcare industries throughout the United States with cost-effective yet elegant solutions to replace Cloth-Linen napkins and guest towels. We have been recognized by numerous restaurants and high-end hotels as a dependable business that has a high standard of delivering versatile, quality and reliable services to our clients. Produced using only the best in raw materials and utilizing the latest in manufacturing and converting technology, SimuLinen offers a wide variety of tabletop products for your everyday use. We are redefining durability and elegance in our everyday products. To find out how SimuLinen products can make your establishment more efficient and profitable, please contact our Customer Service Department at [email protected] or call us toll free at 1-(800)-745-6680 to speak to a Sales Representative in your area. recognition and enhance your establishment’s image. You can also set yourself apart from the competition by advertising specials and create coupons on your custom printed napkins. 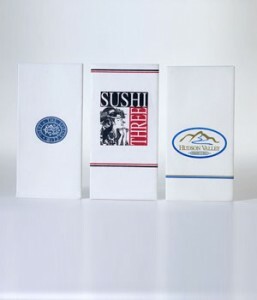 We have the capability of printing up to four colors on any one of our white folded napkins, guest towels and beverage napkins. And our typical lead-time for initial orders is five weeks, and on repeat orders are three to four weeks. SimuLinen offers the best quality and service in the industry, and our experienced staff can help you create that custom look and special message for your business. Please contact our Customer Service Department to find out more about SimuLinen Custom Printing options and capabilities. Please fill out the form below and click the “Submit” button at the bottom of the page. All fields with (*) are required. A Customer Service Representative will follow up with you shortly.